MainAll NewsInside IsraelWill MK who aided terrorists face lesser charges if he resigns? Will MK who aided terrorists face lesser charges if he resigns? Deal reportedly in the works to allow Joint List MK Basel Ghattas to resign and face reduced charges after smuggling phones to terrorists. 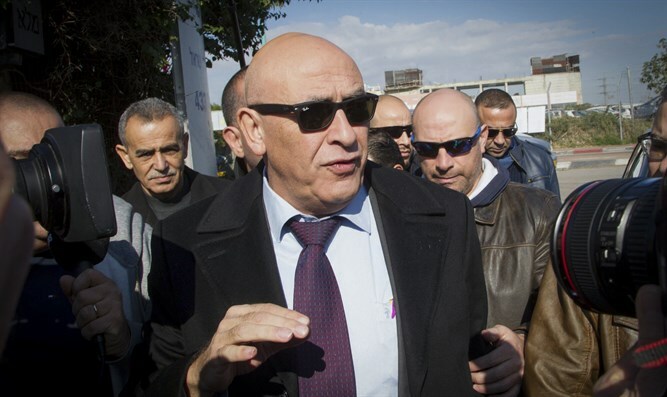 A deal is under consideration which would allow Joint List MK Basel Ghattas to resign from the Knesset in return for facing lighter charges after admitting to smuggling cell phones to terrorists in Israeli prisons, the Yediot Aharonot Hebrew newspaper reported. Ghattas would also not face impeachment in the Knesset under the deal. The Joint List MK was caught red-handed smuggling the phones to terrorists in the Ktzi'ot Prison, including Walid Daka, who was one of several Arab terrorists responsible for the murder and mutilation of Moshe Tamam in 1984. A hearing in the case will be held before Attorney General Avichai Mandelblit on Wednesday. Ghattas recruited Avigdor Feldman as his defense attorney, a lawyer who has extensive experience in representing those accused of security-related offences. According to reports, Ghattas would resign his Knesset seat under the deal, precluding an impeachment. In exchange, Mandelblit would request that the indictment against Ghattas be softened and possibly that several charges be removed. The reports also state that the coalition has been unable to raise the 90 signatures needed from the 120 MKs in the Knesset to complete the impeachment proceedings against Ghattas. Ghattas has also been questioned on unrelated allegations of forgery, fraud, and money laundering, among other charges.